Home » General Health » How To Get Rid Of Dry Cough Fast? It starts as a tickle in your throat. Then you feel a cough coming on. You try to stop it, which always make it worse. Then, it starts. 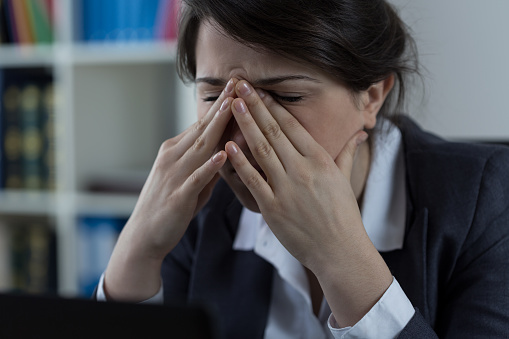 The dry, hacking, aggravating cough that startles your co-workers and keeps you up at night. While coughing is good for your system, we all want to know how to get rid of dry cough fast. Over-the-counter and prescribed medications work well, but there are home remedies for dry cough that can be found in your own cupboard. So, read on as we discuss the causes of dry cough and some home remedies that may help you feel like yourself again in no time. A dry cough is referred to as a non-productive cough because it does not create phlegm or sputum. It occurs when the brain perceives an irritant or blockage in your throat as a threat and triggers the body to remove it. 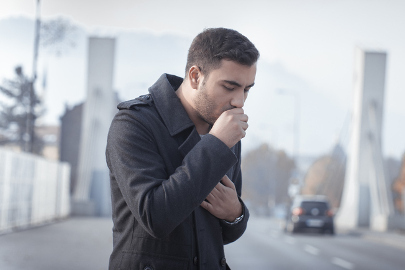 Several conditions can cause dry cough, from irritants in the air we breathe to chronic health issues. Ginger can be used in various forms to help quiet a dry cough as it is believed to promote saliva production and break down mucus. If you can brave the strong taste, eat a fresh cut piece sprinkled with salt. You can also use ginger in a cup of tea with added honey or a basil leaf. Another option is using the juice from crushed ginger mixed with 10 tulsi leaves. You can add honey or sugar to taste. Use this three times a day. 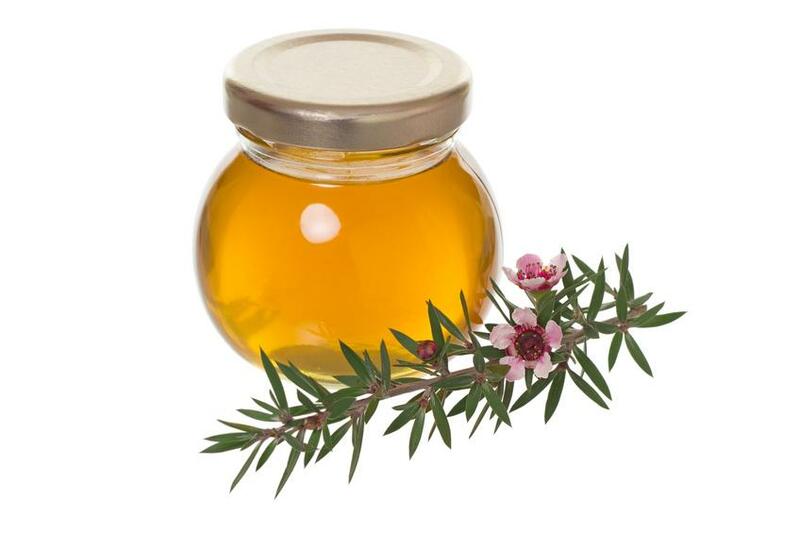 As it coats the membranes in your throat, honey can suppress a dry cough. Mix honey in a glass of warm water and drink. You can also eat a spoonful of honey at bedtime to ensure a restful night. It is best to use organic honey as some brands can contain added ingredients that may irritate a sore throat. Plain black tea is a go-to for many to cure a cough and irritated throat. While the tea is hot, you can add a variety of some of the products mentioned such as drops of ginger and honey. Be sure to cover the tea as it steeps to contain the heat and the soothing ingredient oils in the steam. Speaking of steam, inhaling steam is one of the most effective ways to suppress that nasty cough. Whether you stand in a hot shower or use a vaporizer, steam can help remove throat irritants and soothe the airways. You can also cover your head with a towel as you lean over a bowl of boiling water to breathe in the vapors. To calm a cough by reducing the swelling of the throat glands, grind a basil leaf to produce juice. Add a pinch of salt before orally taking one teaspoon of the juice. Do this twice daily for one week. Handed down from generation to generation, a salt and water solution is trusted by many to thin out the irritated membranes of the throat. Mix warm water with salt and gargle twice a day. Try not to swallow as it will cause more discomfort in the throat. 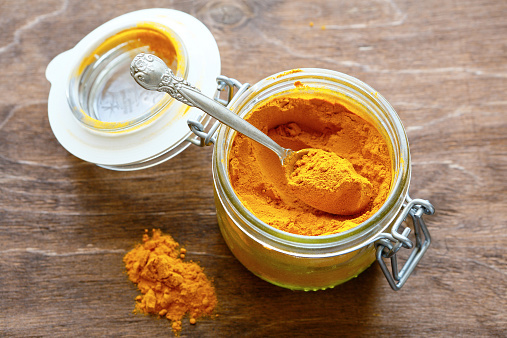 Many sufferers turn to turmeric, a popular spice in many Asian dishes, for cough relief. Curcurmin found within the powerful herb has shown antibacterial properties in research studies. Add a teaspoon of turmeric powder to hot salt water for use as a gargle, or combine with warm milk for a soothing drink. Known for bringing tears to your eyes, onions can also draw out irritants from your throat. Simply breathe in the strong aroma of a freshly cut onion. You can also drink a mixture of baked onion juice, tea, and honey once a day for relief. Another option is mixing ½ teaspoon of onion juice with one teaspoon of honey and drinking this twice a day. Fight back with the anti-inflammatory properties of lemon. 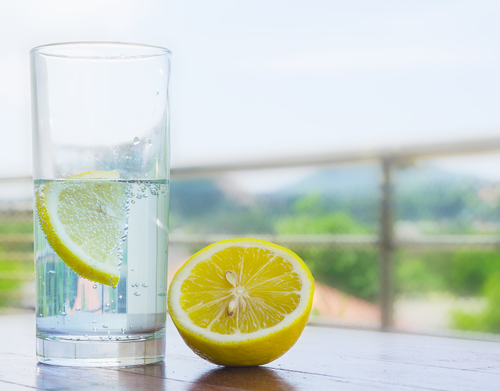 Drink a mixture of two tablespoons of lemon juice and one tablespoon of honey several times throughout the day. You can also add a pinch of cayenne pepper to the mixture. The itchy, scratching throat and nagging dry cough should clear within a few days of using these remedies. If you choose to use an over-the-counter medication, Harvard University suggests to use a cough suppressant, not an expectorant one. Suppressants work as they sound, by suppressing the cough as they contain the active ingredient dextromethorphan. In 2004, studies were conducted on the effectiveness of cough syrup ingredients, such as dextromethorphan and diphenhydramine. These primary components to battle coughs did not improve or suppress the cough any better or faster than the placebo syrup given to another group. If your dry cough does not improve after one week or is accompanied by symptoms of fatigue, weight loss, leg swelling, and shortness of breath, you may want to seek professional medical advice. Coughing up blood during a dry cough requires an immediate visit to the emergency room. Hafizur, “How to Get Rid of a Dry Cough Fast,” Health That, January 23, 2017; http://www.healththat.com/how-to-get-rid-of-a-dry-cough/, last accessed February 9, 2017. Suresh, A., “Top 10 Home Remedies for Cough to Get Instant Relief,” The Health Site, December 22, 2015; http://www.thehealthsite.com/diseases-conditions/how-to-get-instant-relief-from-cough/, last accessed February 9, 2017. “Home Remedies for Cough,” Top 10 Home Remedies; http://www.top10homeremedies.com/home-remedies/home-remedies-for-cough.html, last accessed February 9, 2017. “7 Natural Cough Remedies for Persistent & Dry Cough”, Everyday Roots; http://everydayroots.com/cough-remedies, last accessed February 9, 2017.